Nanosuits or Nano-Muscle Suits, are powerful and extremely versatile combat chassis' originally proposed in the intention of enabling humans to operate in environments which would otherwise, be substantially lethal. This is permitted through the suit's ability to adapt and absorb energy in a myriad of forms ranging from heat, solar, radiation, static, kinetic, and even carbon. 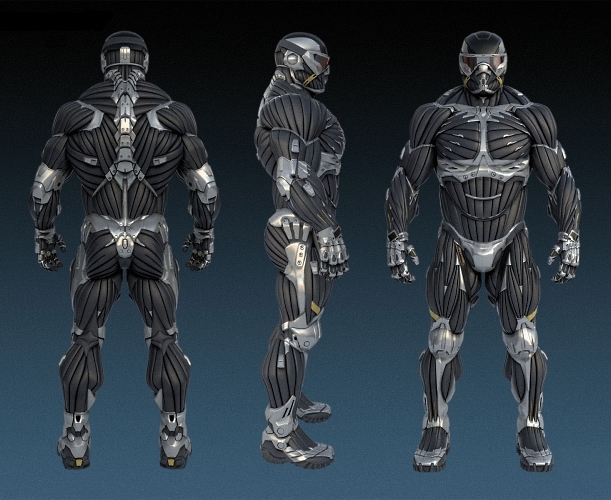 In addition, the suit's CryFibril (artificial muscle) can be programmed for a variety of purposes (such as hardening, muscle augmentation, or invisibility), leading to drastically enhanced combat and physical performance, and allowing the operator to execute super-human feats. These suits are the pinnacle, and the most technologically advanced piece of equipment within human hands as of the year 2020; capable of even rivaling Alien technology. The foremost function of Nanosuits are their ability to dedicate their energy supply to a specific function which ultimately augments and greatly enhances certain properties of the wearer. Armor mode diverts the limited-capacity regenerative energy supply of the Nanosuit into absorbing the kinetic energy of incoming projectiles and other damaging forces, such as hazardous levels of heat and radiation, effectively making the user temporarily invulnerable and thus withstanding impacts which would normally be lethal. While the Nanosuit is in a constant regenerative-state, Armor mode enables quicker regenerative proficiency, both revitalizing and restoring the users overall physiological system. Note that Armor mode will not increase the rate of energy regeneration, so users wishing to save energy for other modes may not want to use Armor mode as a stray bullet will momentarily cease energy regeneration. In Armor mode, the energy supply of the Nanosuit only depletes in the process of resisting against incoming fire or the effects of other hazards to biological life that face the player. When not under any external threat, the energy reserves of the suit will eventually regenerate to 100%. Armor mode is commonly used in the absence of the need to use any other mode, as the protection it provides can be the difference between life and death when faced with unexpected threats. 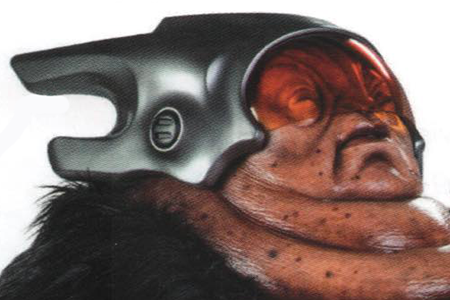 In strength mode, the nano-suit tightens and injects a cocktail of narcotics that is readily absorbed into the blood stream through the wearers skin. This produces steroid like effects that provide superhuman strength as long as this mode is currently active. The suit glows bright red, and your melee attacks like punches, grabs, throwing, and tackling increase in damage. The player is also able to high jump to traverse difficult terrain. In Speed mode the wearer is able to inhale oxygen in larger quantities, and an injection of Nano-bots enter their bloodstream. The Nano-Bots hyper-accelerate the blood flow throughout the body, stimulating heightened reflexes in their fast-twitch muscles in order to increase both their dexterity and agility. The power of the suit's "hydro-thrusters" is also increased while in Speed mode, and thus the user will still move at an increased rate even while underwater or in zero-gravity environments. The 'sprint' function of Speed mode allows the entire energy reserve of the Nanosuit to be diverted into a short but extremely fast movement, in other words allowing the user to make quicker motion and perform dashes of speed incredibly faster than the human brain or Alien sensors could ever process (this explains the delayed reaction of North Korean soldiers and all alien infantry units). Jumping as the last reserves of energy drain will increase the effectiveness of the sprint allowing for a Nanosuit user to move close to any enemy or move away from danger in less time. The increased dexterity of Speed mode also allows the user to prepare heavy weapons and (depending on the firearm) reload at an increased speed. Since the user can perform melee attacks faster when in Speed mode, the damage rendered from melee attacks in a given time period ultimately increases. However, Strength mode is advised for single, powerful melee attacks. When in Speed mode, only the Sprint function and melee attacks deplete the energy reserves of the Nanosuit. As long as the user is not sprinting, suit energy reserves will ultimately reach 100%. It is advisable to use Speed mode and its associated Sprint function when attempting long jumps or when ascending steep slopes that are impossible to scale with Strength mode. Strength mode is more appropriate for high jumps. 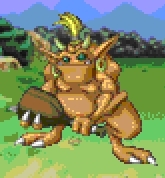 The user can also switch to Strength mode while sprinting and immediately jump for an even longer distance, since there is a very short period of time in which two modes can be combined. When activated, the Nanosuit alters its outer surface through the use of a crystalline generation, capable of refracting incoming spectrums like Visible Light, Microwave (radar), and Radio to render itself completely invisible to the naked eye and most surveillance equipment. The mode requires massive capacitors to power itself so time is of the essence when in use because it immediately deactivates after brief use. The ability is shortened by activities like walking upright, sprinting, or jumping. Crouching or laying prone greatly increases the length of time until it needs to recharge. Attacking an enemy via melee or by firing a gun will automatically turn it off so plan your attacks accordingly. The player is enveloped in a dark blue silhouette, making the wearer partially invisible. The system can be compromised by the use of a gun mounted flashlight, making excessive noise by running or jumping, or just by making your presence completely obvious. The Nanosuit incorporates its own radio equipment, allowing for hands-free voice and/or video communications. The visor of the Nanosuit is capable of heightening received light, acting as night-vision goggles. Unfortunately, this is one of the only parts of the Nanosuit that is not very high-tech, and the goggles can still be blinded by bright light, and even automatic gunfire can white out the visor. The power allocation for night-vision is rather small, being able to produce increased light for less than a minute. However, a minute where the enemy is blind and you are not is always a good one, especially in a Nanosuit. The Nanosuit features an onboard supercomputer which allows it to remotely hack most military devices. Its transceiver can also be programmed to interfere with Alien communications. The Nanosuit incorporates an internal oxygen supply for underwater diving. The Nanosuit can recycle air for one minute before its energy starts to drain. If energy reaches zero, the user will start to take damage. It automatically recharges when the user re-enters normal atmosphere. The Nanosuit also incorporates connectivity to a military network, allowing the suit to display critical information on its HUD. This information includes a topographic GPS map of the area, complete with objective pinpoints and descriptions and radar integration that identifies allied and known enemy units. Computers can interface with the Nanosuit in order to access this network. Also, information about the Nanosuit, such as the suit's and user's vital signs, can be accessed from the network. The Nanosuit is capable of recording audiovisual and environmental data, allowing the user to document whatever circumstances they encounter. It will also maintain body temperature if it detects critically suboptimal temperatures in the surrounding environment, and can keep the user alive even at -200? C.
The Nanosuit also has a special Binoculars function integrated into the visor, allowing the operator of the suit to "tag" enemy units, ammo and vehicles for future reference. This information can also be relayed onto allied units. The binocular's most important quality though is that it makes the user able to hear the lightest of sounds from far away giving the operator an unprecedented advantage in combat. The Nanosuit also incorporates an array of "hydro-thrusters" that allow increased speed during Speed mode sprinting, as well as high maneuverability when submerged. This functionality also permits the Nanosuit to move in a zero gravity environment by utilizing atmospheric gasses as reaction mass. 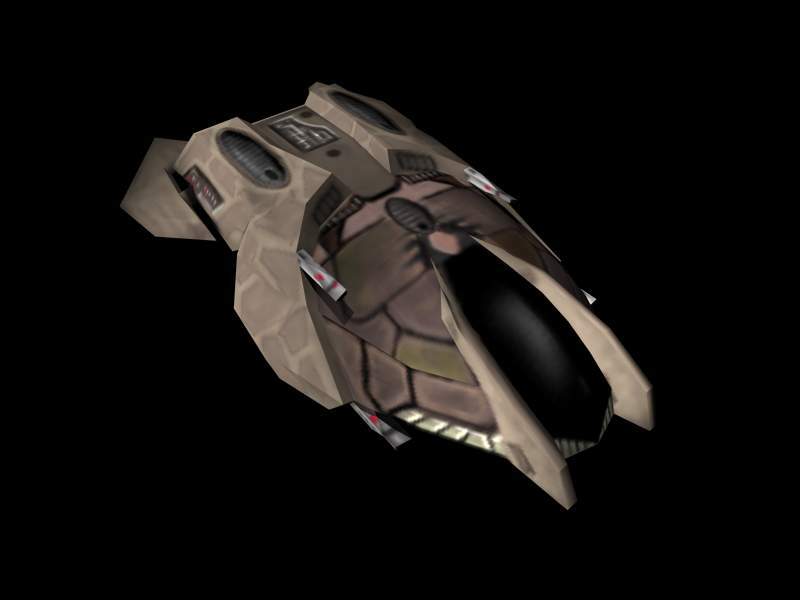 However, the "hydro-thrusters" will cease to function in an airless environment such as vacuum space. The Nanosuit has a special defrosting function. If the suit does somehow get frozen, the user of the suit can initiate the defrosting device and the suit of armor will be fully capable of movement again. To prevent Nanosuit technology from entering enemy hands should the user die, the Nanosuit is designed to disintegrate or "vaporize" on the command of a remote control, usually in the possession of commanding officers such as Prophet. The disintegration of the suit also results in the disintegration of the corpse inside, theoretically providing a way to kill the soldier for whatever reason. However, depending on the suit's design, disintegration may not be possible with a living body inside. Basic Suit Functions: Adds +1D to Strength (to resist all damage, and also lifting and punching), the suit also includes thermal protection which offers an additional +2D to resist cold and heat. Nano Vision: May be used to see through walls (PERC vs. cover strength) if there is thermal variations on the other side. Binoculars: May be used in conjunction with either of the above imaging modes. +2D to search past 100 meters. Thrusters: The suit has thrusters which improve swim speed by +2, and can also be used in a zero-g environment. Air Supply: The suit can provide the user with oxygen for 2 minutes, and provides +3D protection from toxins, diseases and poisons carried in the atmosphere. Nanosuits can be switched between modes during the characters action, and default to Armour Mode, but may only be in one mode at a time. Strength: +3D to Physical strength, this increases climbing/jumping skills, lifting ability and damage done in melee combat. Speed: +2D to Dexterity, +5 to move. Cloak: +5D to Sneak + Hide skills. I think they're too similar (and the picture is of the Nanosuit 2 anyway I'm pretty sure). Just realised that I missed the aquatic functions of the armour (the water jets, which can also be used for manuevering in zero-g, and the underwater breathing ability). So will have to come back and edit this later anyway. Images stolen from Crysis by Crytek.